The Finnish Ministry of Social Affairs and Health announced Monday that it will draw up guidelines to accommodate the use and prescribing of medical marijuana. The move comes a year after the National Agency for Medicines granted its first special permission for a patient to use the plant. In that case, in which a man suffering chronic pain from a back injury obtained a prescription from a Dutch physician, the agency originally rejected his application, saying that under its interpretation of Finnish law, prescribing marijuana was absolutely prohibited. But the patient appealed to the regional Administrative Court, which overturned that decision. The National Agency for Medicines then granted the permission for one year. It was recently extended for another year after reports that the patient's condition was improving. 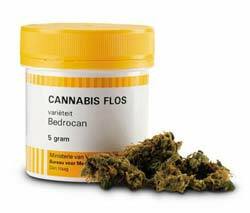 But more broadly, the court ruling has forced the Ministry of Social Affairs and Health to produce regulations to accommodate medical marijuana use and prescription. Those changes are expected to take place in a few months. According to YLE News, medical marijuana prescriptions will require the approval of the National Agency for Medicines. ur religious snobbery was not needed. Good to hear the Finns are getting closer a legalization. Hopefully more countries will follow & understand the good effects of this longtime badmouthed herb. As long as the market will control & regulate the use of marijuana the effects will sure decrease for example alcohol-related traffic accidents, violence in general etc. 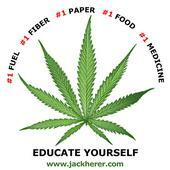 Governments around the world, do your homework, study the medical facts of Cannabis use & let this harmful culture grow. I'm very sceptical about marijuana getting more tolerated in Finland anywhere in the near future. There will be probably just a few exceptions.